Well tonight ended my 2 day silver streak. I went back to the private home that I dug merc #2 from. 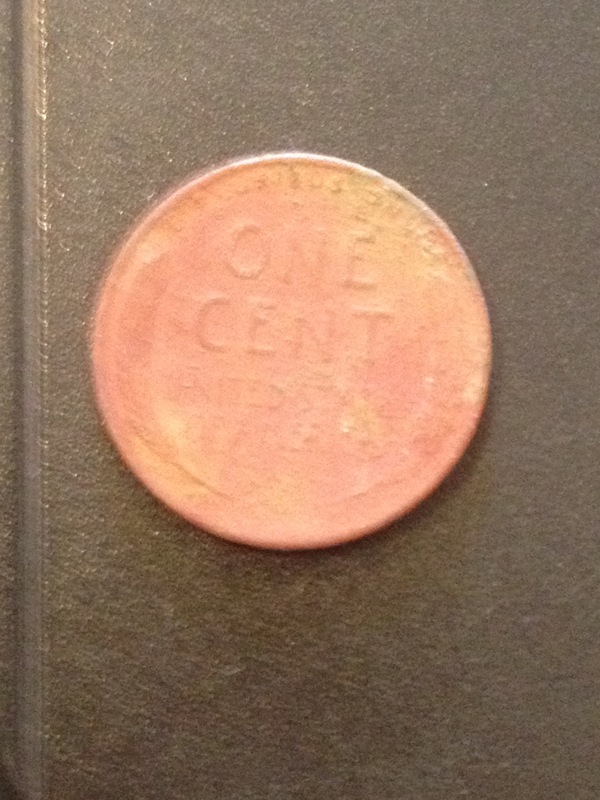 I dug 22 zincolns from 1962-current, 1 wheat cent from 1951, and 1 quarter from 198?. What bugs me worse than ending my silver streak is the fact that my headphones started giving me trouble mid hunt. They seem to skip in and out while swinging. What strikes me as odd is the fact that when the headphones cut out I hear a super faint noise out of the aces speaker. These headphones are only a couple months old and I will be quite disappointed if they are going bonkers already.. Easy to test. I’m hoping that if it is the phones that Bounty Hunters customer service is pleasant to deal with. Off to the lab we go for testing! Edit: Couple bits of news. 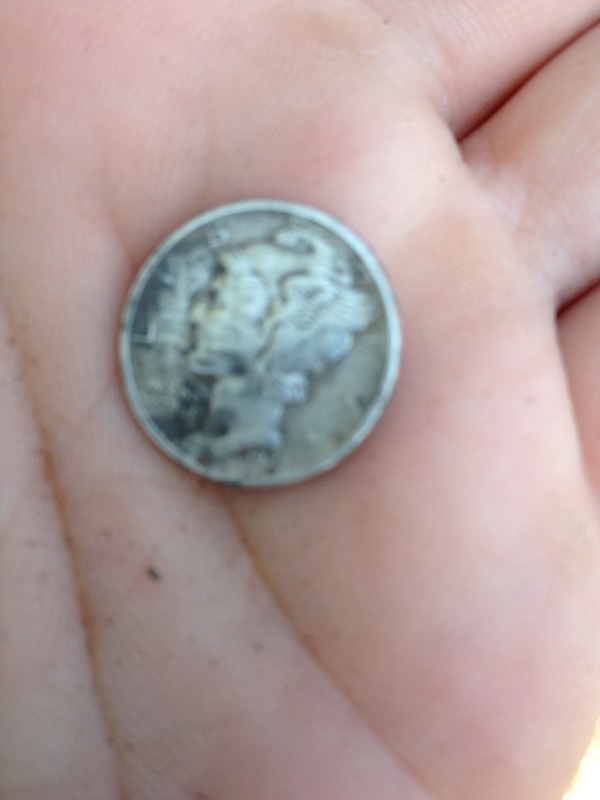 The quarter I found is the oldest clad quarter I’ve dug. It’s a 1965. One year to young to make daddy happy. The headphones just need a wire re-soldered. 4 months old.. I may have to invest in a nicer set of phones eventually! Well tonight I went door knocking again. This time I wasn’t disappointed. I received permission at the first home I went to. It was about 8:45 when I got started. 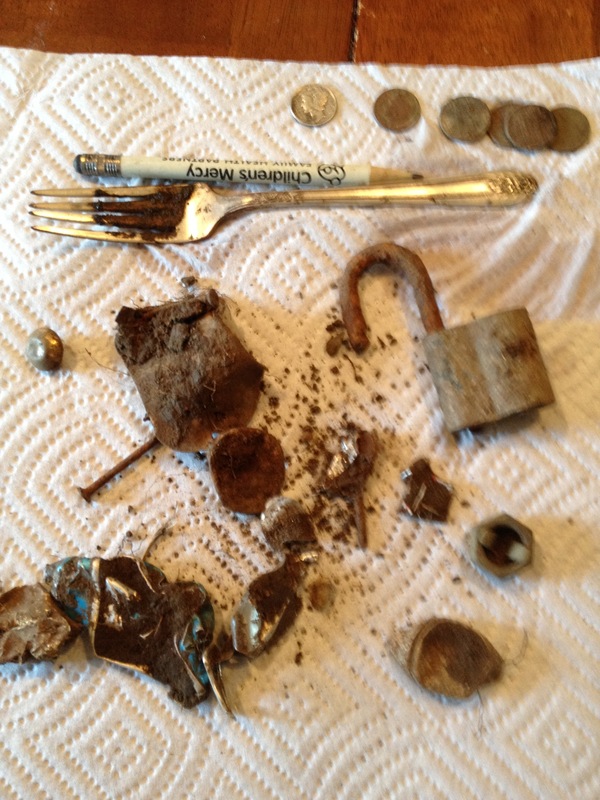 I have found that this is the perfect time to go metal detecting. All the Ukena boys are in bed and my lovely wife is preoccupied with our exchange student watching pretty little liars. I quickly grabbed my tools and got to work. Found about 11 cents in a penny spill that was shallow. Then I moved to the side yard of the 85-100 year old home. 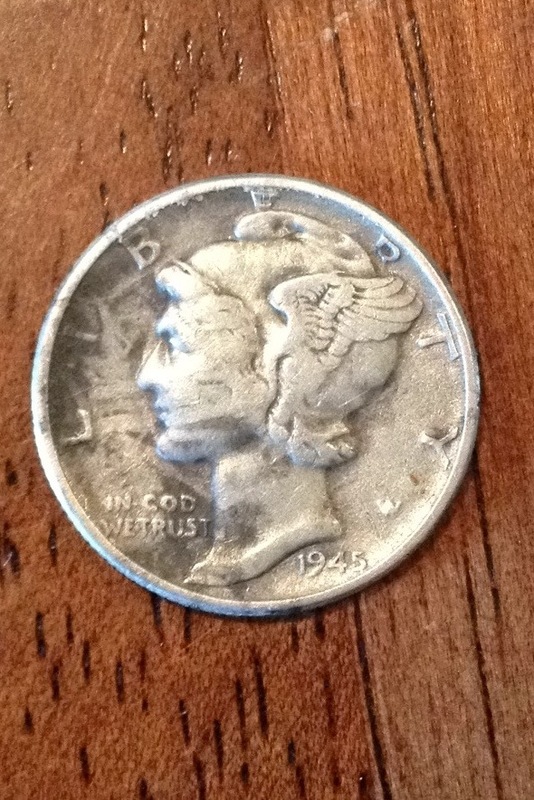 First coin find on that side of the house was a 1947 nickel, 2nd find was a 1943 mercury dime. 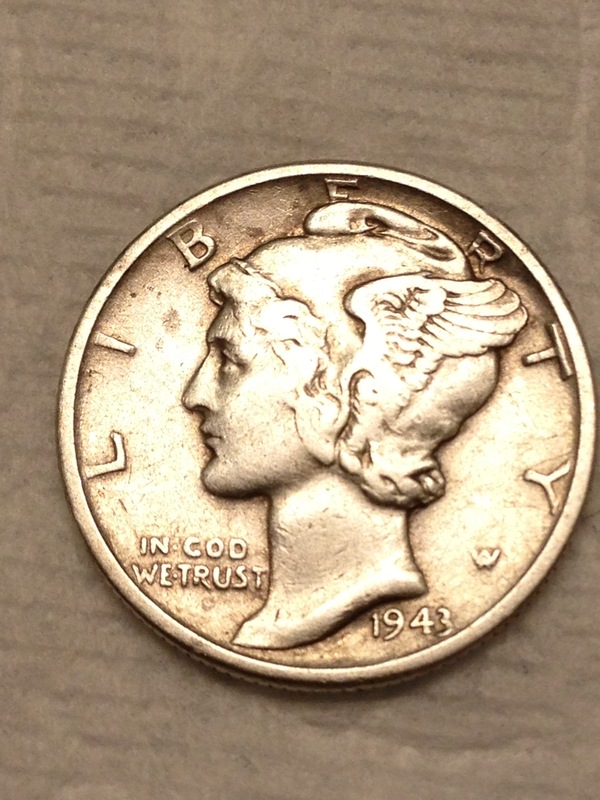 I also dug a 1940 nickel but the little girl that resides at the home asked if she could have it. I didn’t have the heart to say no. For those that have been following my blog since inception you know that I go through spells. Maybe with me finally being confident enough to ask permission at private properties my peaks and valleys will smooth out. 2 days 2 silvers makes papa happy! Ever since I laid eyes on my first Merc I have loved the way they look. I still have dream coins though.. Walking ones! Well for the last two days we have had some much needed rain. I am thrilled that it will be much easier to dig and we should be able to hear targets better. Our plugs should look much nicer and the grass can recoup better from our digging. 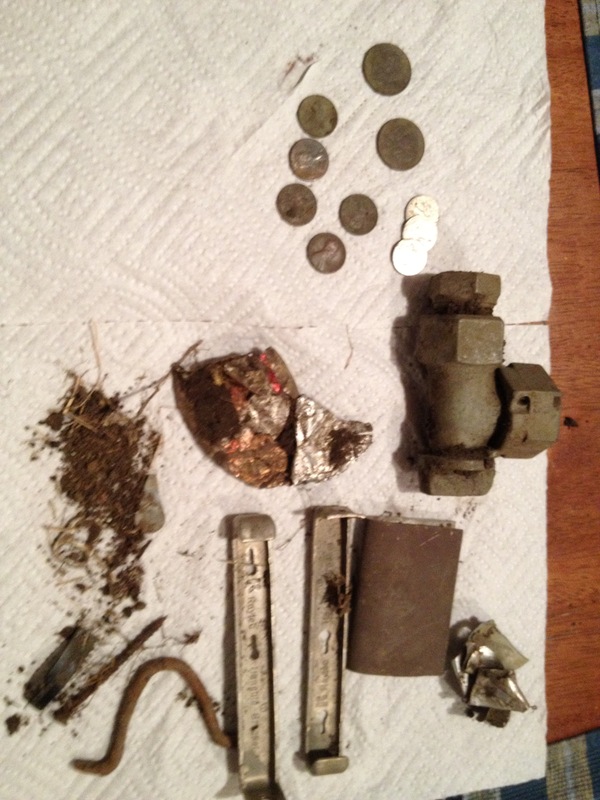 I have been researching for an upcoming metal detecting trip. I am very excited for this trip that I am planning in October. This hunt will include many properties and parks from the mid 1800’s that I believe to be virgin ground. I am ready to rack up some good finds. I feel like that after 8 months of detecting I am finally fully able to understand my detector and it’s capabilities. I am confident that I am hunting with it to it’s full potential. This should directly result in better finds. So tonight I went back to a local sports field where I have been finding older coins and I know there was a homestead in the early 1900’s. Most the coins I have been digging are from the late 60’s. 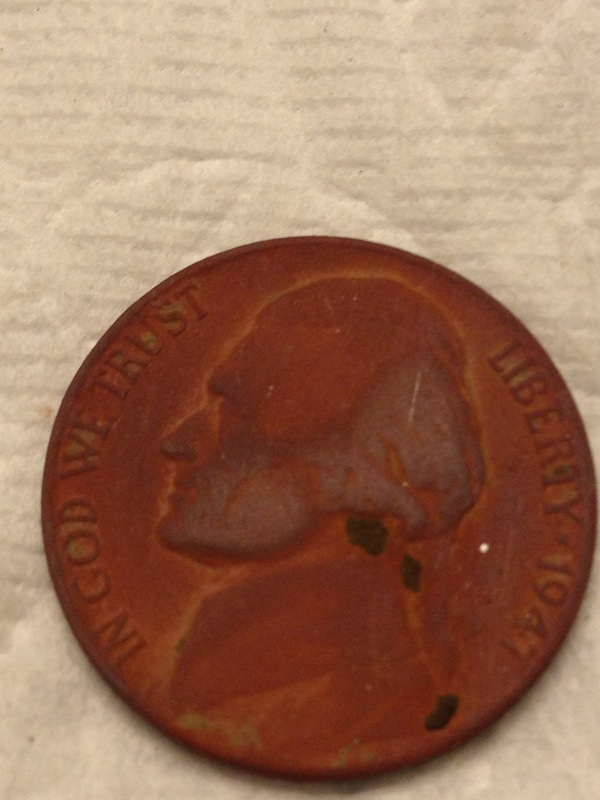 I dug two wheat pennies one from the 40’s and one from the 50’s. These coins were approximately 5″ deep. I am thinking sweet I’m in the right spot. 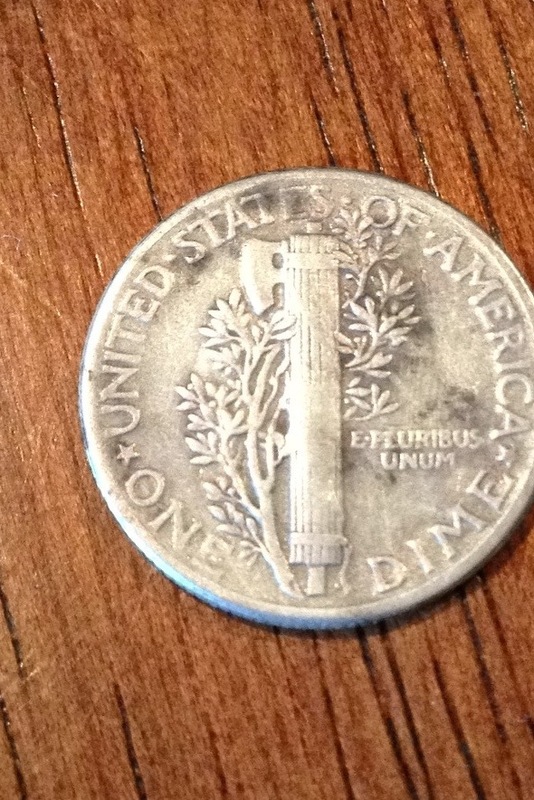 the I get a strong penny signal at 6″ I’m convinced that this could be an older wheat or maybe even an Indian head. 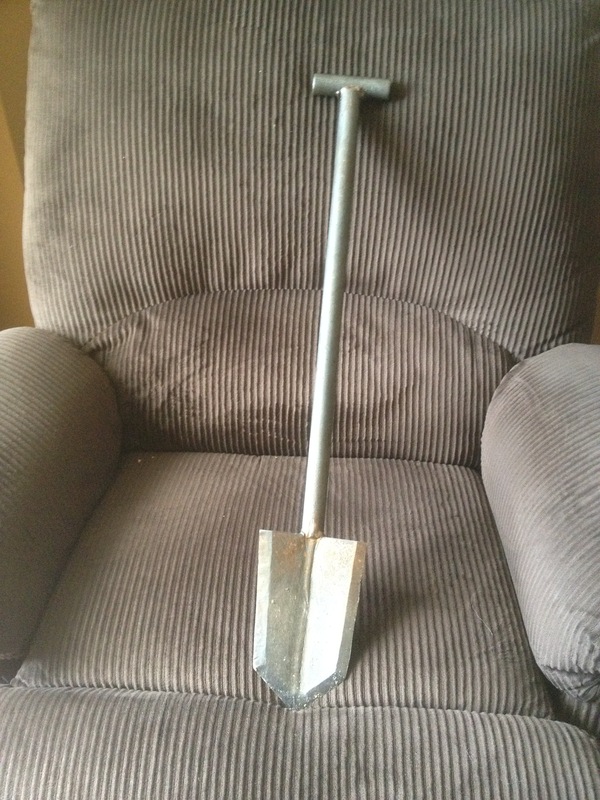 I dig a full shovels worth of soil. I’m guessing that I’m at 6″ or so at this point. I get a faint chirp out of the propointer at the very bottom of the hole. 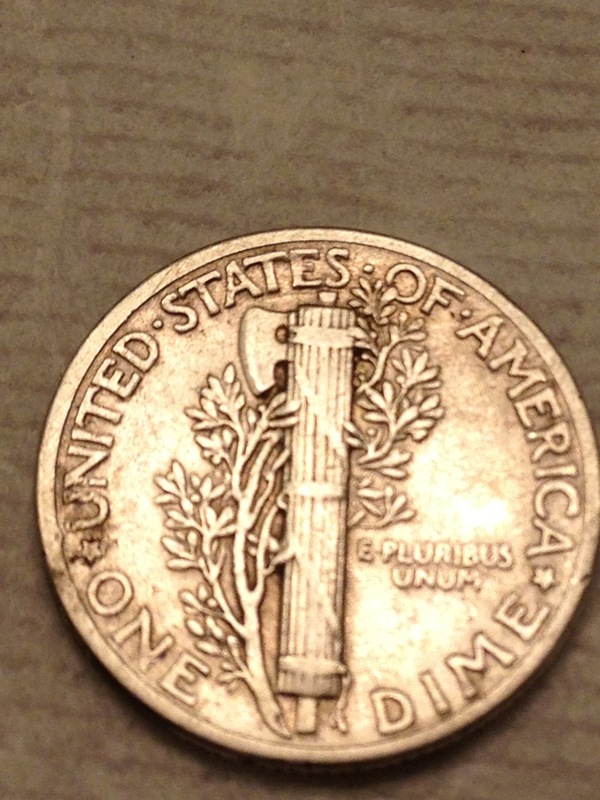 I remove another inch or so of soil and out pops a coin.. 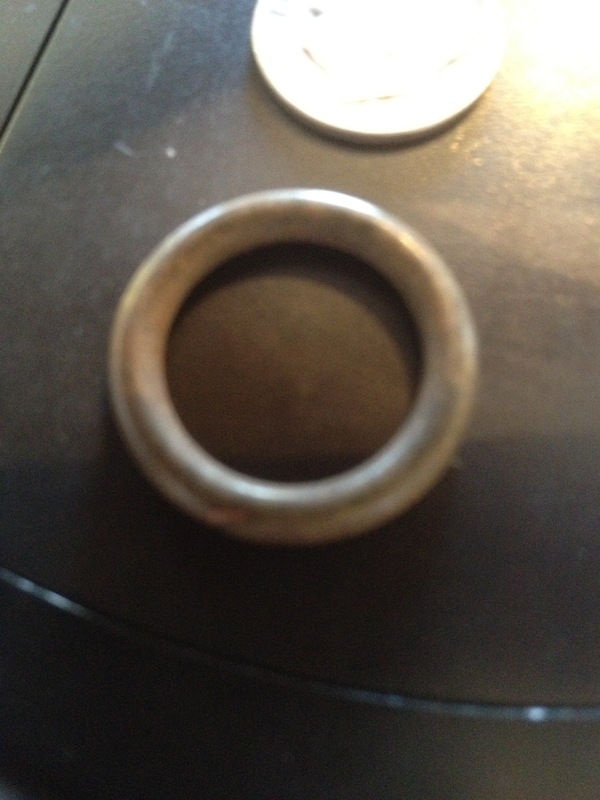 I immediately notice that it is very corroded. It was dark and I couldn’t really see it. I put it in my pocket and continue my hunt. I get anxious to see if it is my first Indian head. I get home and the coin was in bad shape so I take a soft wire brush to it. And then I see it… The Lincoln Memorial…. Huge deflation and a gasp. 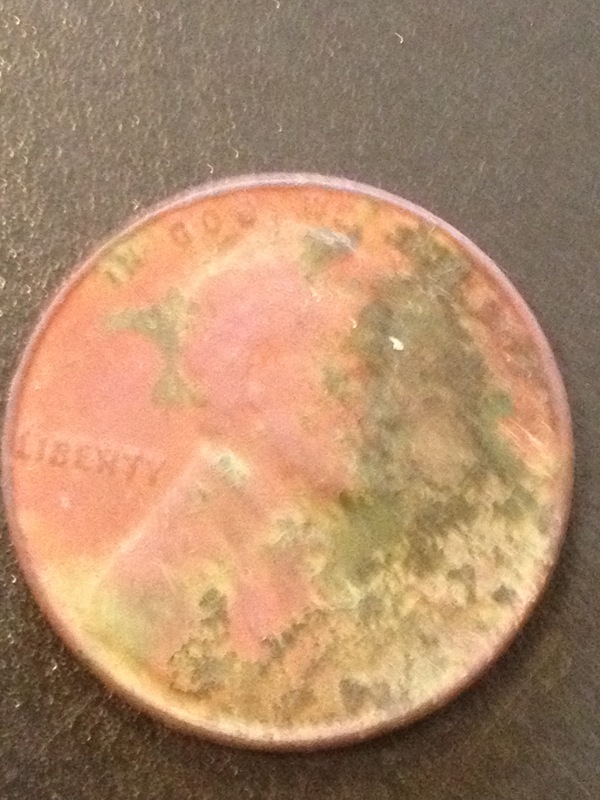 I throw that nasty ol corroded up penny in the trash. As a side note I will say that it was so corroded that I couldn’t make anything out except a portion of Lincolns head and a partial memorial. My question is how does a coin like this get that deep? 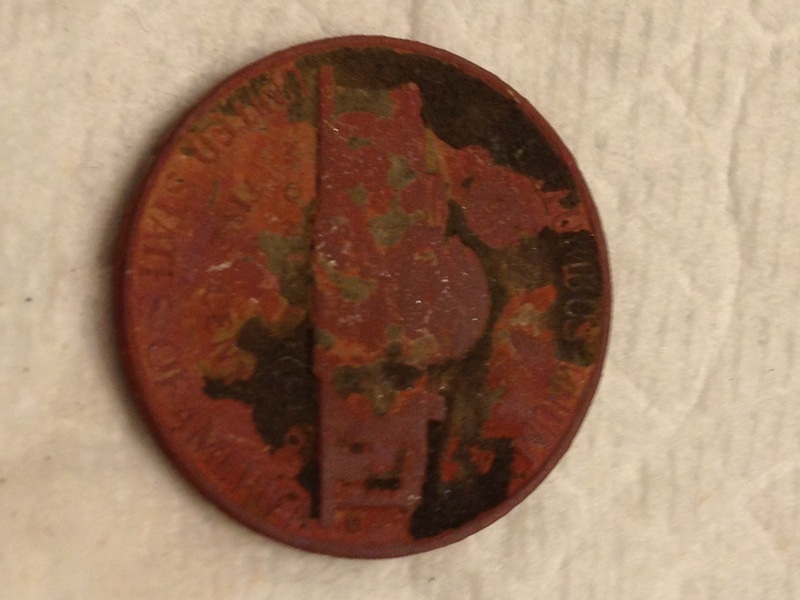 No other coins I have dug in this particular field are that corroded. Everything else makes sense. 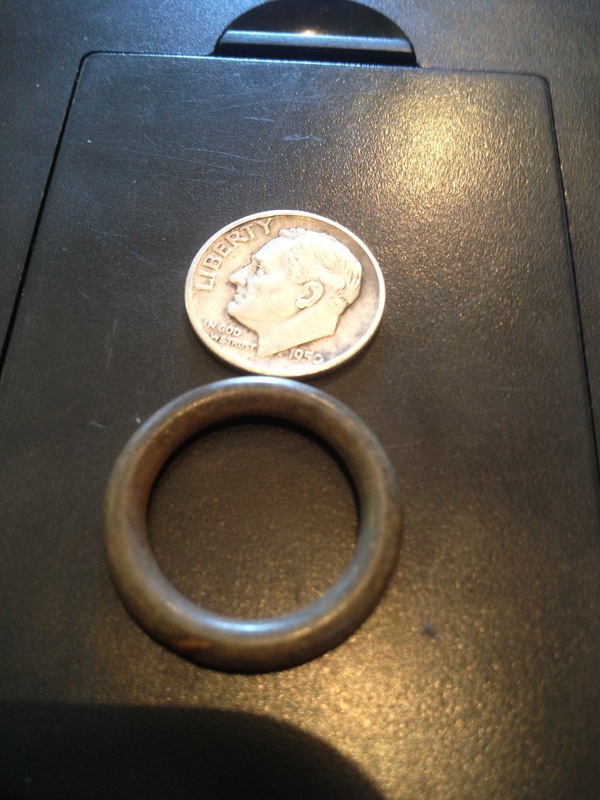 Coins newer than the 80’s are 2-3″ deep, 60’s- early 80’s are 3-4″ deep, and the older wheats are 4-5″ deep…. I don’t understand how in an area less than 300 sq ft. this could happen. Please note that I am not digging this deep in soil that is dry with dead grass in it. These fields are watered and it is very easy and clean to dig a 6-7″ target and have a great looking clay plug. After my frustration ended I got excited for a trip that I am planning to take here in the next couple of months. I still need to work out some details but I am hoping to find 3-4 buddies that want to spend a weekend hunting several homes and schools from the late 1800’s to the 1920’s… I am extremely excited for this hunt and hopeful that it will bring many firsts for me. Maybe some seateds, walkers, and indians! Well I found about 30-45 minutes to hunt today. I just so happened to be in Andover. 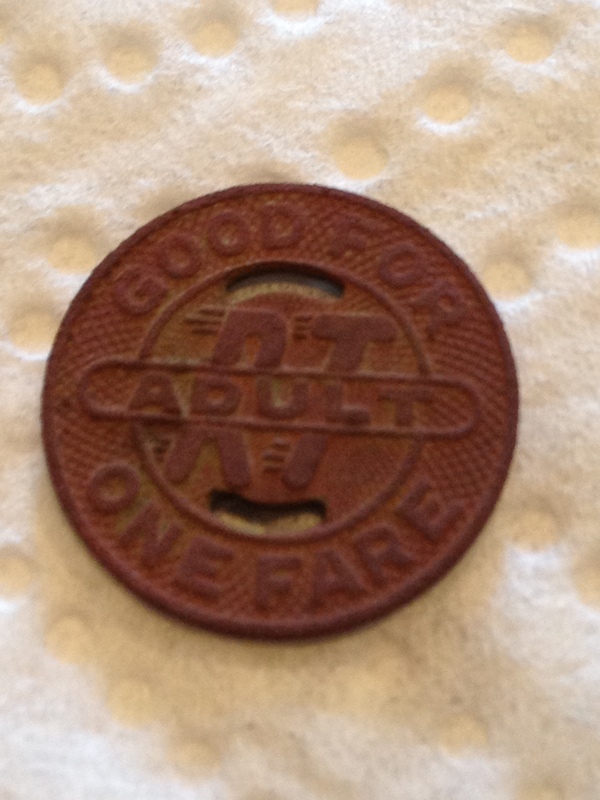 I hit the same park I hunted yesterday only dug 5-6 targets but one of them was a token! This one isn’t that old but still cool in my mind. I believe it is from the early 1960’s.. This morning I got out for a few hours. I met up with several guys from the FMDF. Our group included PulltabMiner, Redd, Patton, YoungPatriot, and myself. The park we hunted in Andover Ks was previously a girl scout camp (1953-1998). The park consists of 80 acres. The hunt started out kind of slow in one part of the park. 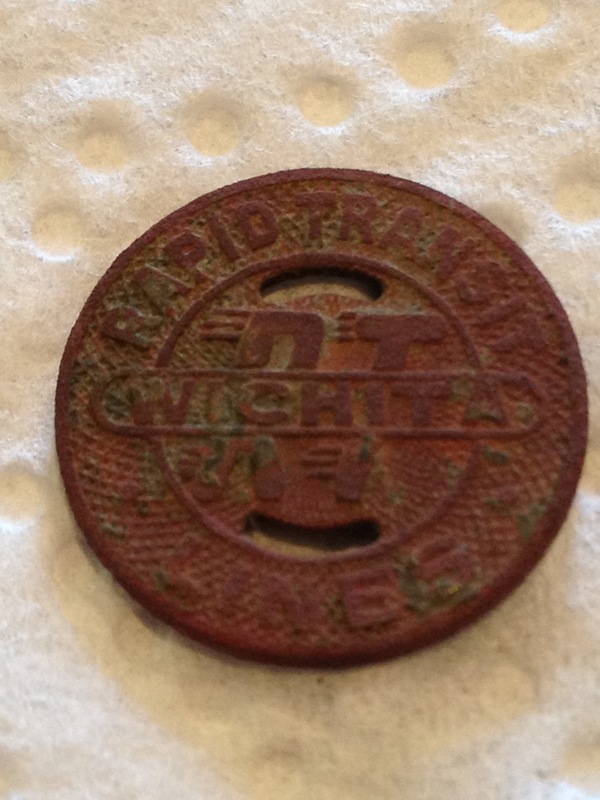 The only neat find was when Pulltab found an old button in the woods. Everyone moved to a different part of the park. 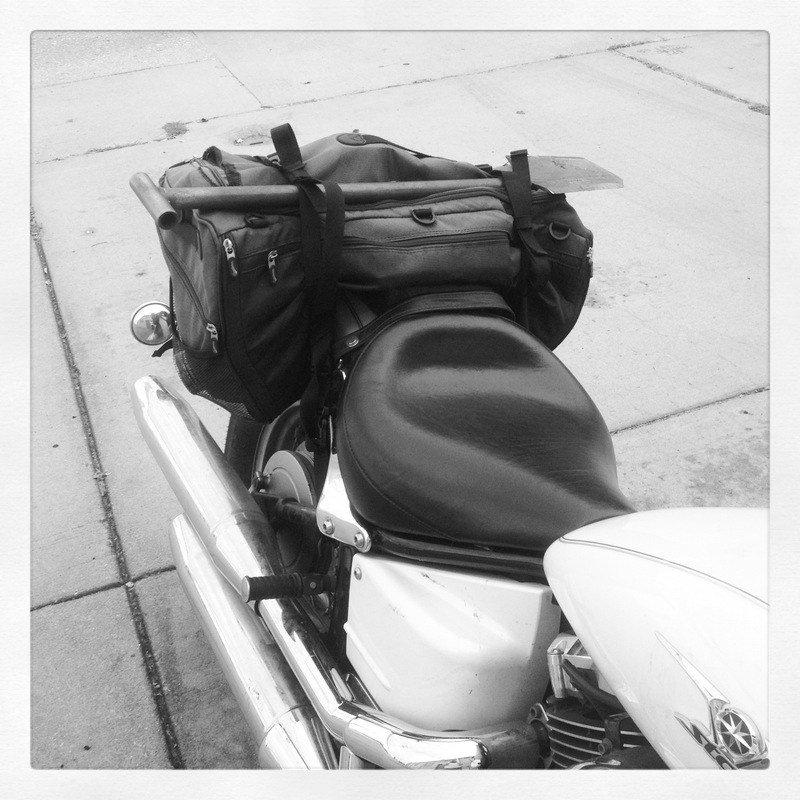 Then we got rolling! 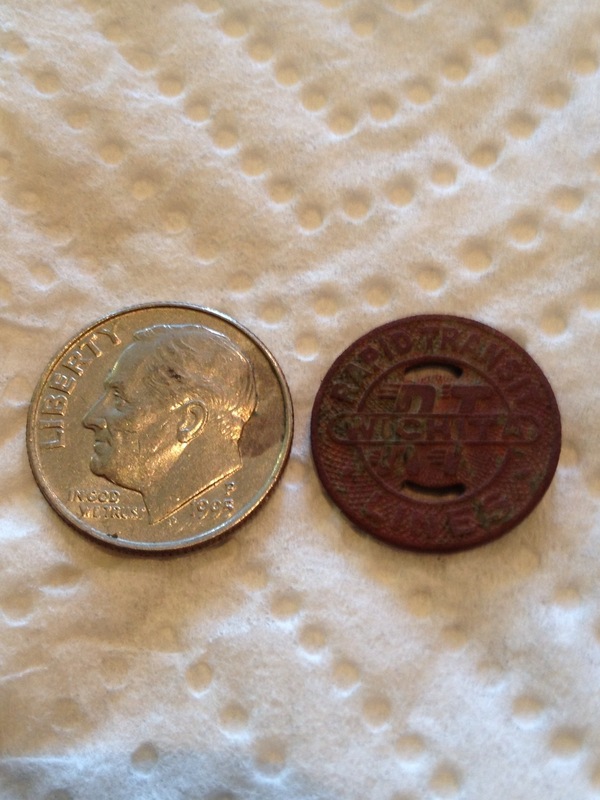 Redd pulled a 1964 Rosie, and I pulled a 1948 wheat cent. We lost everyone except Patton and I about 10:00. I quickly spotted a spot that hadn’t been hit yet. Patton and I quickly made our way to it. 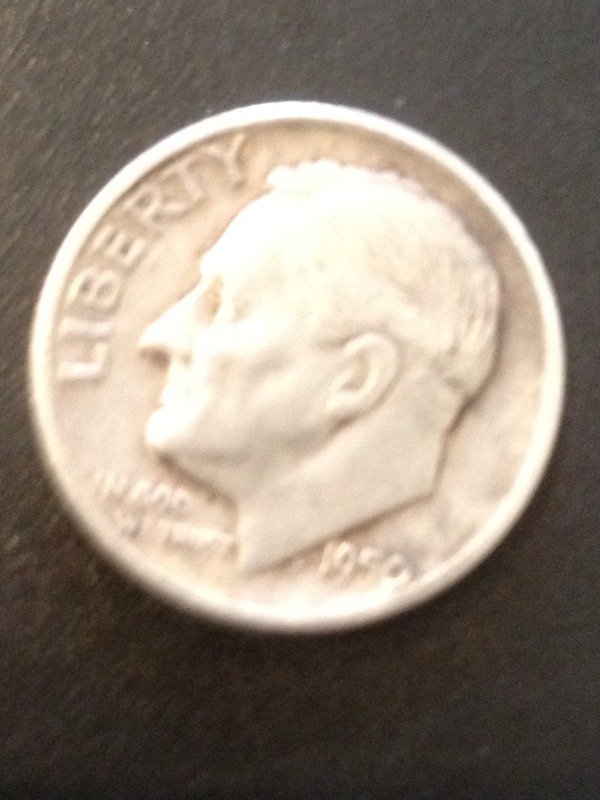 The first target i dig in this new spot produced my 1950 S Rosie. I then dug a target that is kind of a mystery to me. Rang up like silver but it’s not silver. Ideas? We ended the hunt at about 11 and I think everyone had a good time! Last night and tonight I hunted a different sports field in Rose Hill. After some research I learned that these sports fields were built on an old homestead. 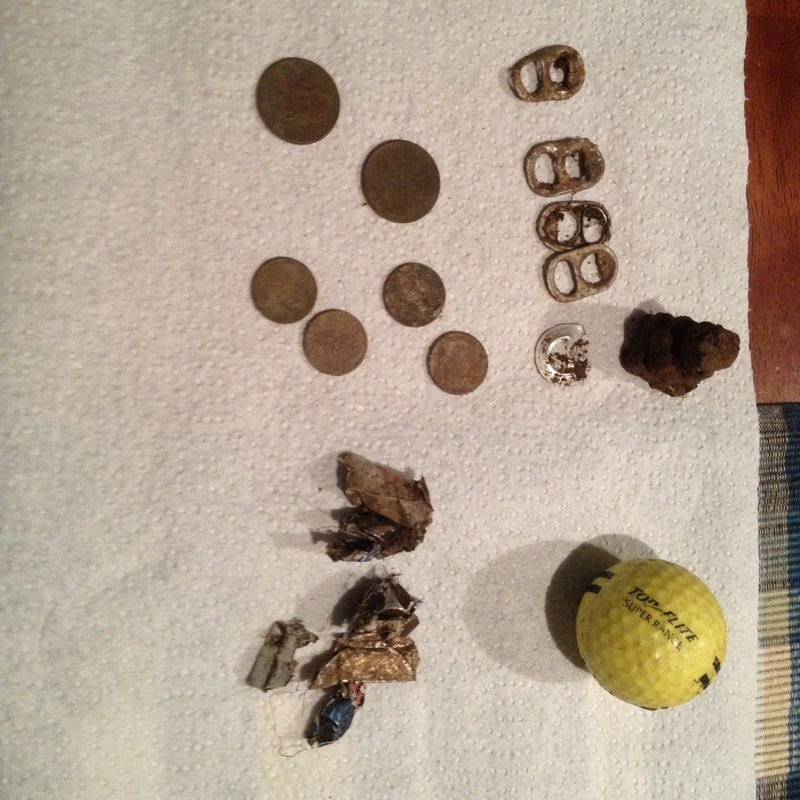 Tonights hunt yielded a few coins from the 60’s just not silver! I also found an early Winchester AA shell. I am still trying to date it though. I think I am getting close to the right spot though. Tomorrow a group of forum members will be hunting a former scout camp. Hopefully we will have some good finds!